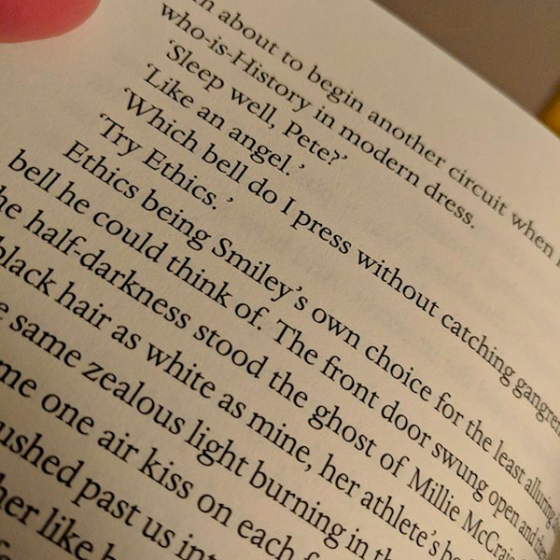 “Ethics being Smiley’s own choice for the least alluring doorbell he could think of.” That’s from early on in John le Carré’s novel A Legacy of Spies. A longstanding safe house has survived decades of political turmoil both within and beyond the halls of Britain’s intelligence operations, and the location is now being investigated by a new breed of officious bureaucrats who are congenitally blind to any shades of moral gray. The label of the doorbell is a coy attempt by Smiley — George Smiley, le Carré’s spymaster character — to hide in plan sight, to have a doorbell that no one would in their right mind ever elect to touch.